Approaching their twilight years, aging baby boomers might occasionally think about their impending mortality, even contemplating what happens after their last breath is taken, wondering what lies beyond the veil. But a growing number of people who have reported Near Death Experiences (NDE) may just shed some light on this age-old question. Although some people, diagnosed clinically dead, come back to life after being revived with no conscious memory of this experience, others experiencing an NDE report vivid, personal memories of their out-of-body trip across the veil. During this spiritual experience, the person may meet dead family, friends and even their spiritual teacher, see a white light or travel through a tunnel. Critics of NDE may try to explain away this experience as being the result of psychological and physiological causes, but those who come back with their direct knowledge of the afterlife don’t buy these explanations. Dozens of books have been published, many being listed on the New York Times best sellers list, detailing the author’s clinical death and NDE, they strongly believe as evidence of an afterlife. One book, published by Rodale Books in 2015, details what Tommy Rosa, a Bronx-born plumber learned in 1999 about health and healing during his NDE and coming back to life. Rosa’s chance meeting at a conference with Dr. Stephen Sinatra, an integrative cardiologist and psychotherapist, seen on “Dr. Oz” and “The Doctors,” would lead to the publishing of a 247 page book, Health Revelations from Heaven and Earth. One such book, published by Rodale Books in 2015, details what Tommy Rosa, a Bronx-born plumber, learned in 1999 about health and healing during his NDE and coming back to life. Rosa’s chance meeting at a conference with Dr. Stephen Sinatra, an integrative cardiologist and psychotherapist, seen on “Dr. Oz” and “The Doctors,” would lead to the publishing of a 247-page book, Health Revelations from Heaven and Earth. A reading of this book reveals two very different approaches to looking at health, one gleaned from a spiritual experience and the other by scientific training, but both lead to the same set of conclusions. The tome offers eight health revelations (being connected with others, faithfulness, your vital force, grounding, being positive, self-love, seeing your body as a temple and life’s purpose) geared to helping you live your best, healthiest life, revitalize yourself and embrace a newfound sense of purpose and spiritual balance — gleaned from Rosa’s experience and fully corroborated by four decades of medical expertise and other scientific evidence by Dr. Sinatra, who practices in St. Petersburg, Florida, and Manchester, Connecticut. Rosa believes experiences described in his book are different from other NDE books published. His eight revelations can be applicable in the reader’s daily life. To date, Rosa has promoted his book and his heavenly revelations in newspapers, radio and television. Over 20,000 copies of his book have been sold. Eighteen years ago, Rosa was walking across the street to a local convenience store to buy bread and he was hit by a car and became clinically dead for several minutes. Right after he was hit, Rosa felt a tug whisking him off into a tunnel of light [a common NDE]. The 58-year-old was rushed to the hospital and resuscitated, but left in a coma for weeks. During his NDE Rosa found himself in “Heaven,” where he met a spiritual teacher and was taught the fundamentals of health and healing. Ultimately, Rosa remembers that he would emerge from his coma not only grateful to be alive, but with a newfound sense of intuition, increased empathy and more awareness of the connection to Heaven and Earth. Rosa, a founder of the Stuart, Florida-based Unicorn Foundation whose mission is to bring spiritual awareness and education to everyday people, says that the most important revelation of his NDE was that all living things are connected. “No one’s actions are isolated to that specific person, but that every action has a ripple effect throughout the energy of our fellow,” he says. In this book. Dr. Sinatra confirms the importance of this revelation, noting how the need for human connection lies at the very heart of human existence. He describes how the practitioner’s ability to empathize with his patients is what truly facilitates the healing process, and also touches upon how one’s emotions can influence their health and overall well-being. His perspective of religion and living life has changed, too. Although he was raised a strict Catholic, the diversity of beliefs serves “Heaven” leading a person to a higher divine plane of consciousness. “I know now that everything is a dream and that you don’t sweat the small stuff,” he says. At the time of Rosa’s NDE, Dr. Stephen Sinatra was dismantling the prevailing ideas of preventive pharmacology with his holistic approach to treatment. When Rosa met the Florida-based cardiologist, he got an intuitive feeling that the physician had an infection in his hip. This insight confirmed Dr. Sinatra’s own similar thoughts of infection, and he was later diagnosed with a staph infection. When Rosa shared with Dr. Sinatra the divine revelations of healing that he had learned in his celestial travels, the cardiologist was shocked — the keys to solving the imbalance of energy that he had identified as the cause of most chronic illness were the same as those Tommy was relating. Until this point, Dr. Sinatra hadn’t thought about how they were all connected and now it all made sense. A dinner conversation would propel Rosa and Dr. Sinatra to write Health Revelations from Heaven and Earth, a book covering spiritual revelations from Rosa’s NDE and putting a medical slant on it. “I was prepared for this incredible conversation as I had many NDEs in my own cardiac practice,” remembers Dr. Sinatra. Once Rosa had discussed how he learned not only the importance of “grounding,” during his NDE but other health topics Dr. Sinatra was espousing in his medical practice and at lectures, it was clear to both that a book project must begin. And it did. Over the years, Jeffrey Long, MD, a leading NDE researcher, has documented over 3,000 NDEs, posted on the nderf.org. The practicing radiation oncologist says that this database is by far the largest collection of NDEs, available in 22 languages, that is publicly accessible. Readers from over 100 different foreign countries access Dr. Long’s web site monthly. Over 300,000 pages are read from this website every month. Meanwhile, Dr. Long’s website notes that although most people who come near death do not remember anything, around 18% [like Rosa] later report that “something happened.” That “something” is often a near-death experience, says Long. He notes a 1993 Gallop Poll estimated that 12 to 15 million Americans personally experienced an NDE. 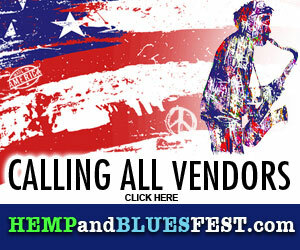 As of 2001, almost 600 adults per day across the nation experience an NDE. In this book Rosa pokes a hole in the veil between the living and dead. He tells it like it is. Because of his NDE he does not fear death. “Death is only a new beginning,” he says. During his 40 years in medical practice, Dr. Sinatra had been at the bedside of many of his dying patients. “Some I saved. Some I lost,” he said, acknowledging that being with his dying patients often frightened him. Rosa’s spiritual journey and the lessons learned have brought peace to Dr. Sinatra, his co-author. “In a heartbeat he literally saved me from my own fear of death,” he says. 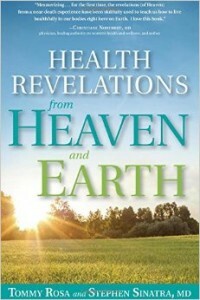 To purchase a copy of Health Revelations from Heaven and Earth, go to healthrevelationsbook.com.